♥ I have a large spot on my chin. My son keeps creeping up on me and lunging for it - he's a squeezer and can't understand why I'm not. 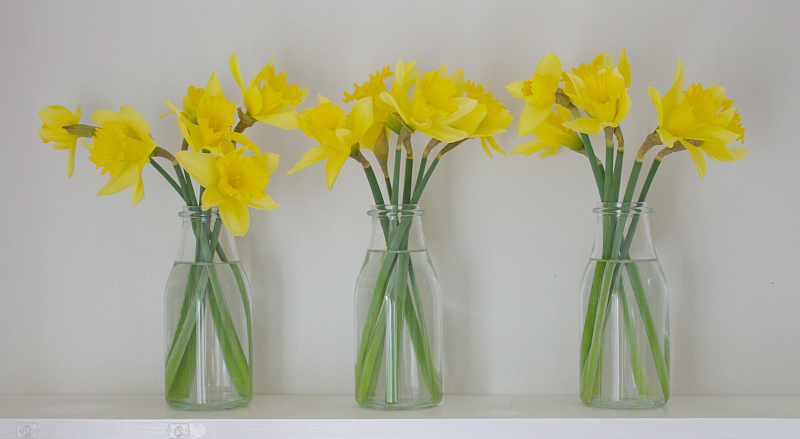 ♥ I bought a 99p bunch of daffodils and divided them between three Ikea glass bottles and have thoroughly enjoyed the effect. 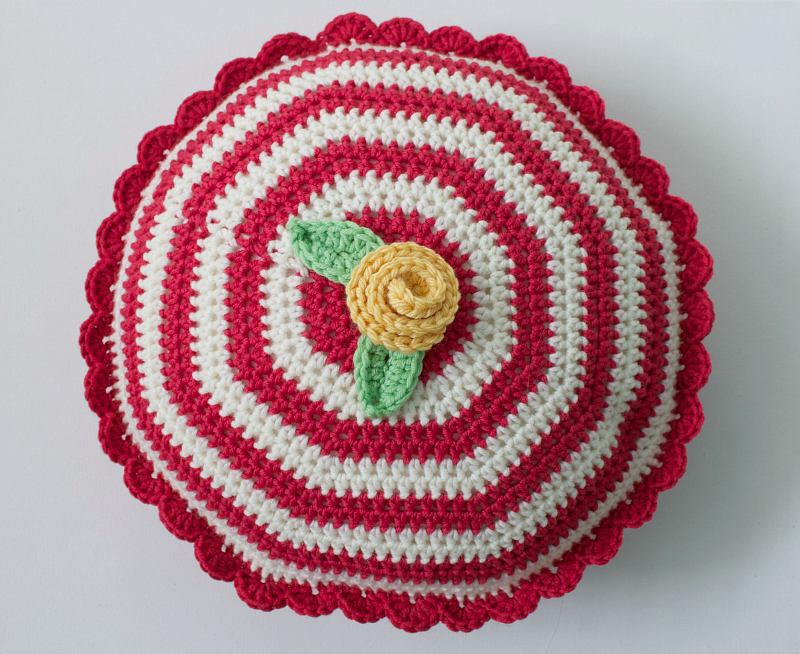 ♥ I crocheted a cushion (using my own cushion tutorial, my own coiled rose pattern and Lucy's leaves). ♥ I have filled three large bags (so far) with clothes and ephemera, which I shall shortly be taking to the local Air Ambulance charity shop. ♥ I bought new underwear. It's one of my 'things' - if my underwear is pretty and my jewellery is sparkly, I think I can cope with almost anything. ♥ I have eaten too much beige food and am convinced this is in no small way contributory as far as the first item is concerned. ♥ I spent a solid hour going through my emails and unsubscribing from mailing lists that I, frankly, can't remember subscribing to in the first place. ♥ Being a grown-up has scared me a little. What is it with emails, each week I do this but some of them still keep coming, it makes me MAD. I hope your not scared now, sometimes being a grown up is poop. Very pretty pictures - those daffodils look great like that! Hope you got to the bottom of your clothes dilemma for your new job. Your cushion is so pretty. I would love to know where you got a round insert for it, I can't seem to find round ones in the craft stores here. I'm a squeezer. Gross but oh so satisfying (ick). PS: After awful teenage years she is on citalopram and it has made a huge difference. I am sorry for your spot misfortune my dear but on the other hand I must it's a relief to know that I'm not the only person who still suffers with these things at... 'our age'! You are probably right about the beige food though, I have been a lot better since we've been on our 2015 health kick. Oh and don't be a grown up too too often will you? It should only be a part time affair! I love your photos. That close up daffodil is gorgeous. I am unsubscribing from all sorts at work and then trying not to subscribe to anything I don't want on my new home email. It takes hours and is boring, but I think that ultimately it is worth it, even if it is a bit grown up! 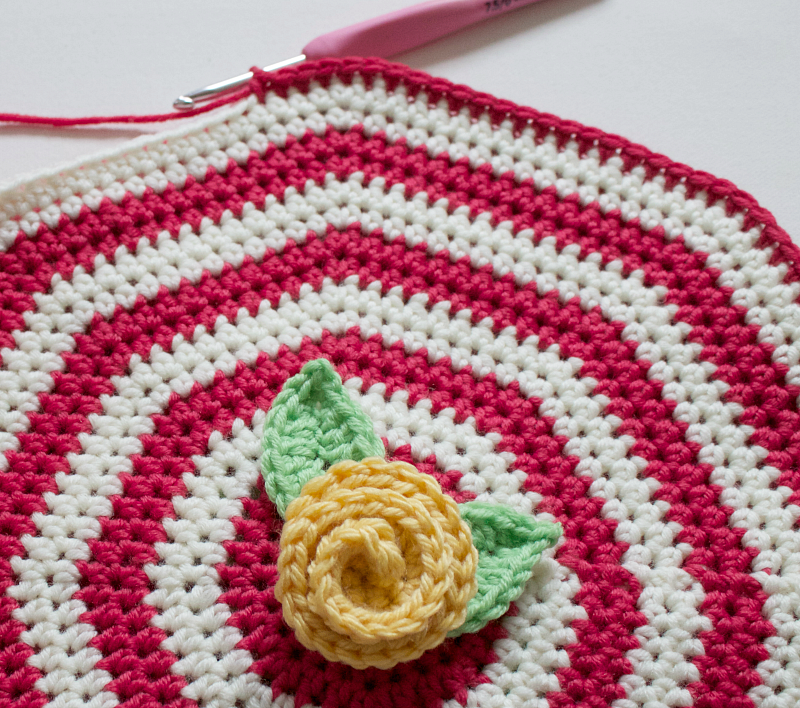 I love the cushion I have been looking for a simple to crochet but impressive looking pattern to add to my cuddle/crochet chair for ages now! 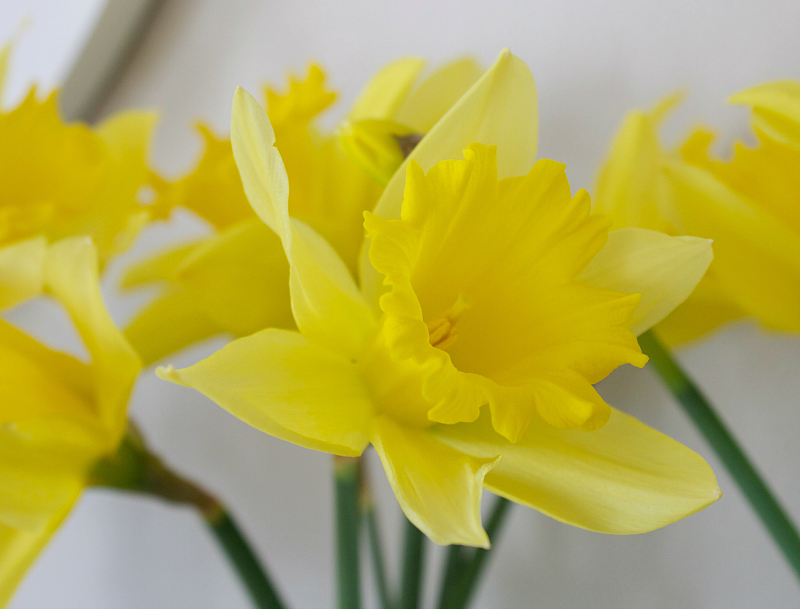 p.s as a proud welsh girl you can't beat a bunch of daffs to brighten up your day.